I paint because the color makes me want to crawl out of my mind and join it in its simple vibrancy. I paint to feel the texture of the substance spread. I paint to say something that has no words just a feeling. And sometimes I’m painting to escape or heal or do something external when in fact painting simply brings me to the highest place in myself… consistently. Sitting in front of an empty canvas feels like waking up each morning. I have options. I have a trunk full of colors and my heart pours ideas through me… This is my joy. To paint. 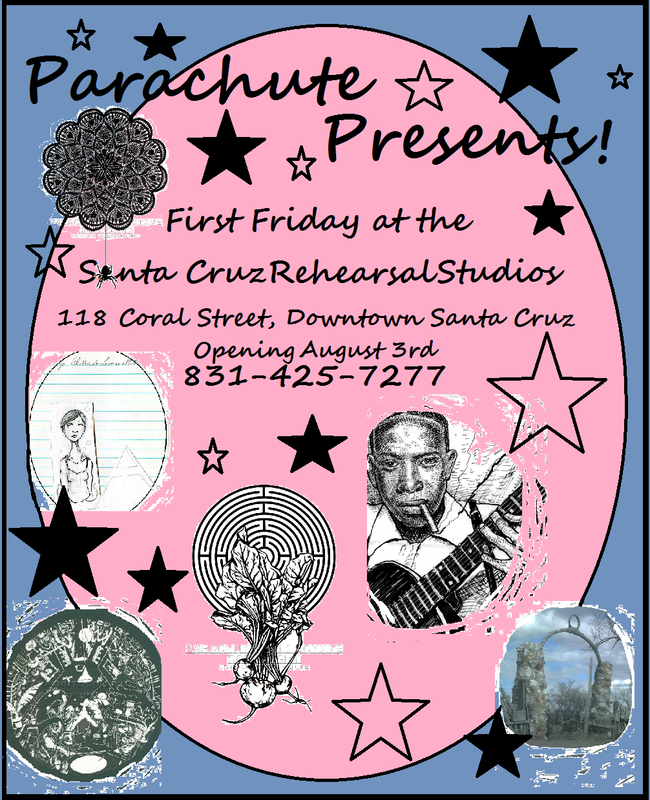 We are thrilled to welcome the Parachute Collective to Santa Cruz Rehearsal Studios this month. 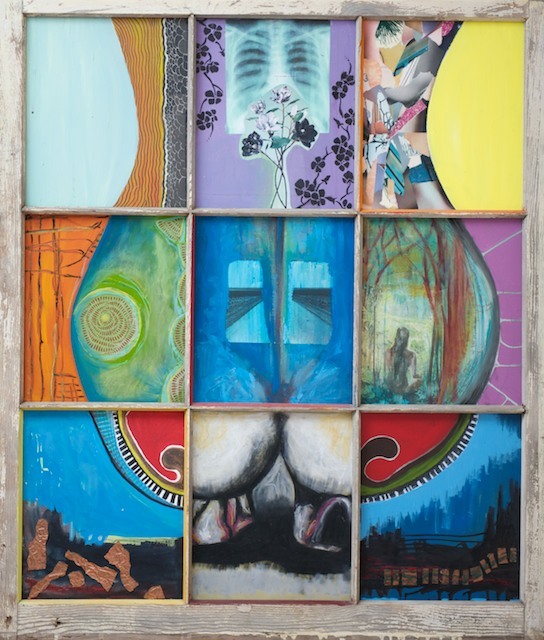 Parachute Art Collective is locally owned and operated in Santa Cruz, CA. Parachute’s services include promoting, marketing, and distributing for artists including screen printed merchandise and apparel online. We help individuals establishing themselves as artists through facilitating them contributing to and in their communities local and worldwide.